Moorreesburg with its “summergold” wheat fields is a small inland town located 100km North of Cape Town in the Western Cape Province. It is situated just off the N7. The location of Moorreesburg allows for a distinctly tranquil environment with full access to all the pleasant amenities both within the town and its neighbouring coastal towns. The area surrounding Moorreesburg is fondly known as ‘Breadbasket’ due to the lush fertile plains that make this area perfect for growing wheat and other grains. For a small town Moorreesburg property sales still exhibit a healthy level of activity, with an increasing number of younger buyers also showing a keen interest in the town’s unmistakable serenity, natural beauty, and commercial activities. What is unique about Moorreesburg as a Town? Moorreesburg was so named after J.C. le Febre Moorreesburg, a minister affiliated with the Nederduitse Gereformeerde Kerk from 1833 to 1881. The town is saturated in rich history and culture from settler times when the area was used mainly for farming wheat, livestock and other foodstuffs that the ships would restock with on their way past the Cape Point. You can still find great historical landmarks strewn around the countryside, including the old ship’s cannon that was used to alert local farmers when ships were docked in the Cape Harbour so that they could rush their produce to the docks. Moorreesburg is also home to one of the only three wheat museums in the world, that depict the history of wheat farming all the way back to Great Egyptian times! What does the Moorreesburg property market look like? Freehold Moorreesburg properties dominate the property market stock composition at 97%, with sectional title schemes measuring in at only 3%. This is likely due to the fact that Moorreesburg is nestled away between areas of high interest and hasn’t been the main focus of big investments, until recently. Many investors have chosen the nearby coastal towns of Langebaan, Yzerfontein and Velddrif to take roots. This has in a sense highlighted the tranquillity of Moorreesburg and proved favourable in terms of centrality, giving it‘s residents easy access to all the local attractions of the nearby towns.This further suggests that Moorreesburg has untapped commercial and residential development potential. Again, this is great news for prospective purchasers and investors who can expect excellent returns in the medium to long term. What amenities are within reach of Moorreesburg property owners? Schooling: Moorreesburg residents have an array of choices when it comes to schooling. There are at least two primary schools and two secondary schools in Moorreesburg. These schools offer high quality education in conducive learning environments for all students. There are also various private and public schools available in neighbouring towns. Healthcare: The locally based Clinic and General Practitioner can cater for all residents with minor sicknesses and injuries. In addition to local healthcare facilities and medical professionals there are also hospitals located in nearby towns such as Piketberg and Langebaan, which are well-equipped and able to attend to any medical emergency. Recreational and Entertainment: Activities in and around Moorreesburg are generally focussed on outdoor fun and leisure. For the more active we offer 4x4 trails, hiking , mountain-biking, fishing and enjoyable tours along the wine routes. The interesting golf course attracts many golf lovers who enjoy the 9-hole course and the Swartland hospitality. The fresh air and tranquil atmosphere of the countryside is a must for body and soul. The area offers access to a host of eateries, and there are shopping centres in and around Moorreesburg to satisfy all needs. What are the major attractions and sights around Moorreesburg? 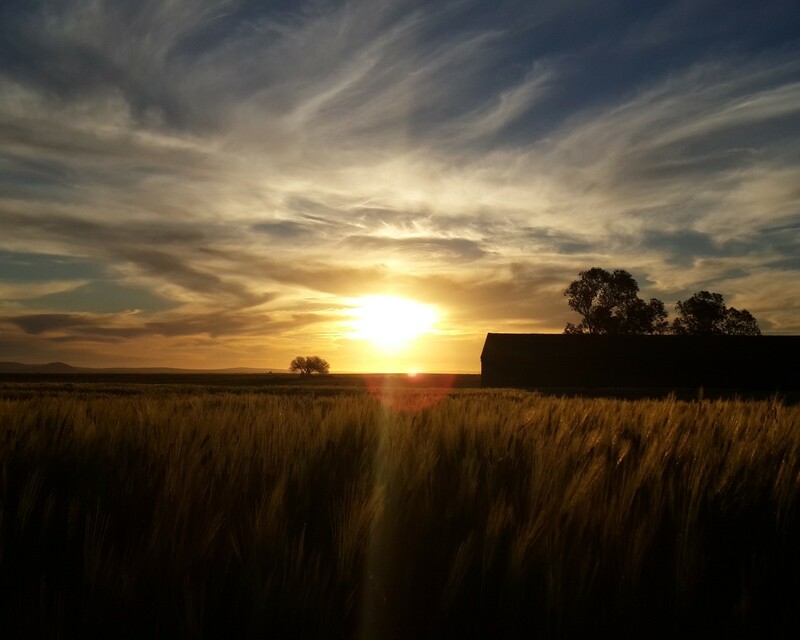 Moorreesburg is noted for its high quality wheat and grain production, and sights of the extensive crops in summer and winter are truly remarkable. This attracts both conservationists and eco-tourists, culminating into activities such as the annual Agricultural Swartland Show where farmers can display, sell and deal in the fresh produce that is cultivated here. The town is rich in natural attractions, culture, and history, including remnants from settlers and tribes that once inhabited the area – these and more make Moorreesburg one of the most fascinating towns in the Western Cape. When it comes to buying, selling, letting or renting, it’s highly recommended to always work with a proven Moorreesburg market expert. Chas Everitt property specialists operate extensively in the area and are able to help you from start to finish. Our local agents will be able to provide the most up-to-date Moorreesburg property listings on the market.